Welcome to my trip report on Cambodia Angkok Air! 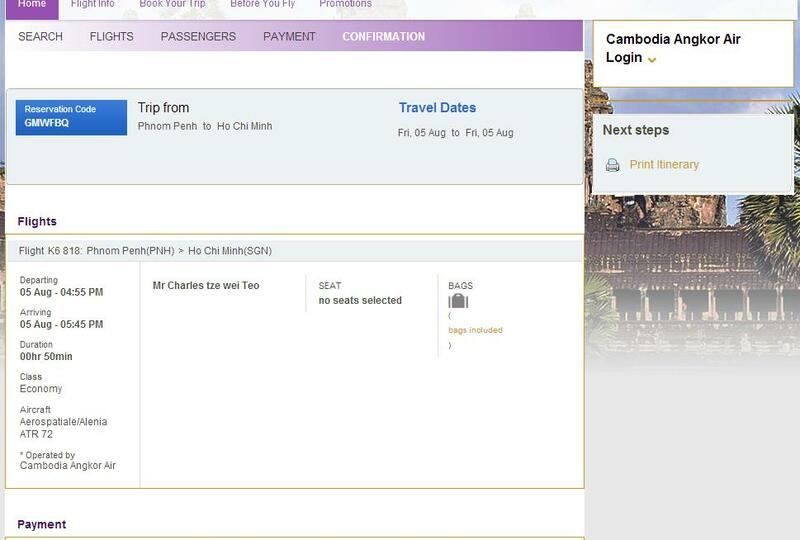 For this trip, a new airline was my aim, as long as its reasonable in pricing, I won't mind making a detour just to get to my final destination, Ho Chi Minh City. A few options came into my mind. First: Myanmar International Airlines and I was very close to booking with this airline from Singapore to Yangon and then flying Cambodia Angkor from Yangon to Ho Chi Minh, however visa was required for Singaporeans at a fee of S$80, I decided it was not worth it, so I turned my attention to Phnom Penh as Cambodia Angkor Air flies to Ho Chi Minh City with 4 flights daily. Airfare wasn't cheap, I paid around U.S$100 for this short 40 minutes flight and the aircraft was scheduled to be operated by ATR-72-500. 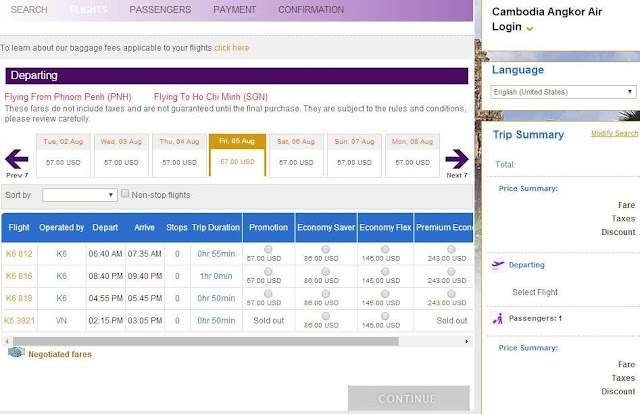 Once that was decided, I made the booking and at the same time settled my Singapore to Phnom Penh flight which Malaysia Airlines took the honour to fly me there via Kuala Lumpur, you can check out that trip report over here. For a small airline, it has a decent working website but has its own flaws. Doing the booking was flawless, had the ticket issued to me without problems. 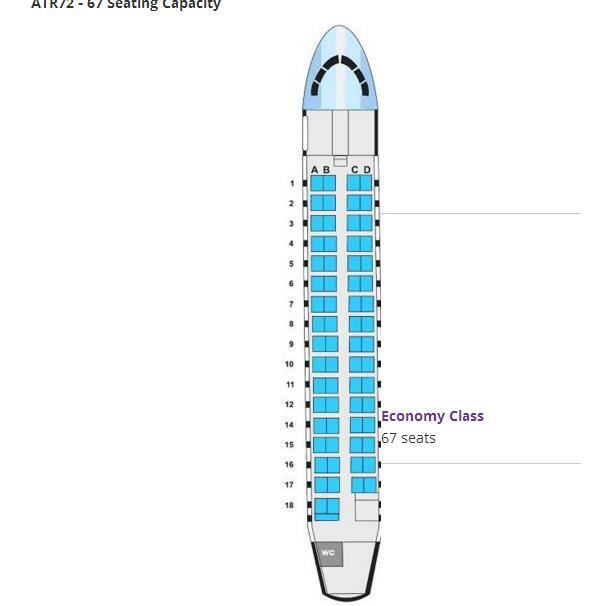 Only thing is you can't do web check in or selection of seat. Checking in for international flights with this airline opens 2 hours before departure and 1 and a half hours for domestic flights, so you can't do early check in as well. Kind of disappointing to be honest. Once you click the continue, the actual airfare appears. I thought I was only paying $57 but it turned out to be $104, was hesitant for a moment since it was such a short flight. In the end, I decided to do it since this was probably my only time flying on this airline. Once this is confirmed, I received the information below. 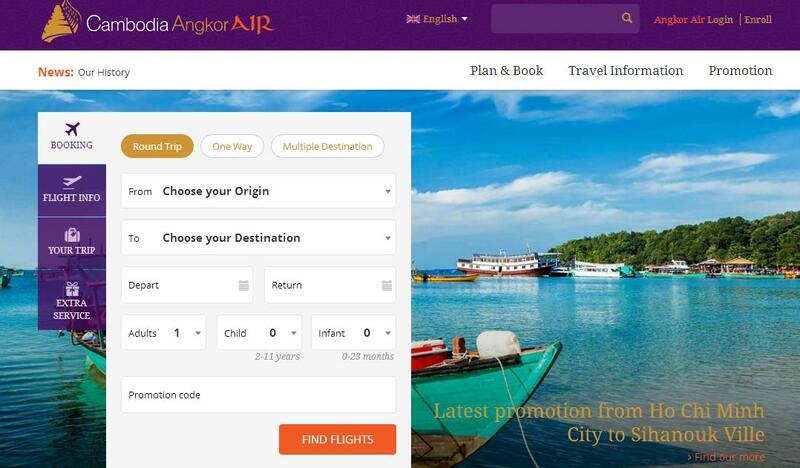 This airline uses the same web operator as Vietnam Airlines. This airline is the national airline of Cambodia started operation in July 2009. This airline is a joint venture between Cambodia Government and Vietnam Airlines, that's why some aircraft you see have Vietnam Airlines cabin interior. 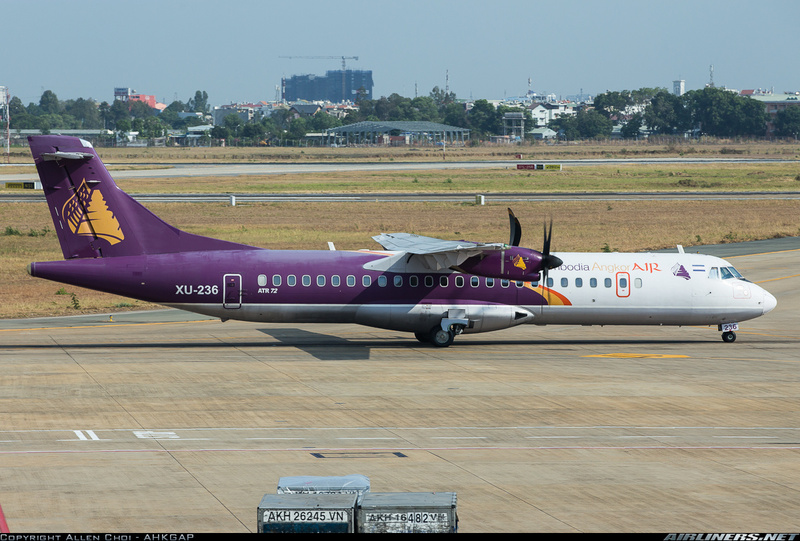 This full service airline operates a small fleet of ATR-72-500 and Airbus A321 used on popular tourist destinations. The network is small but the airline prefers to play safe than sorry. This airline enjoys the monopoly of the Cambodia aviation market, that's why air tickets are not cheap. It code shares with Vietnam Airlines and some of the aircraft (under leased from Vietnam Airlines) can operate Vietnam Airlines flights too (usually on domestic flights). 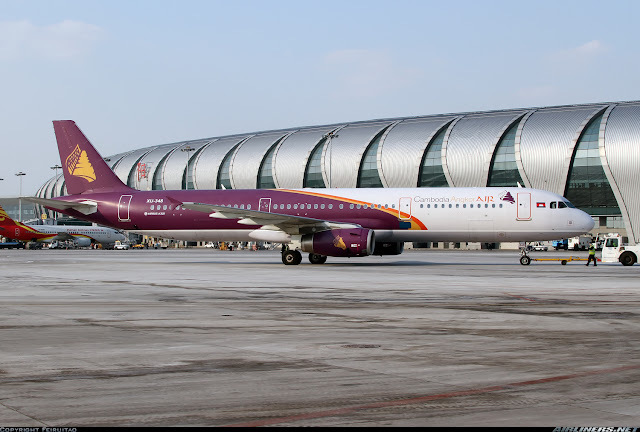 Lately, this airline has 2 rivals joining in to give this airline a run of its money, they are Bassaka Air and Cambodia Bayon Airlines. I have plans to fly on those airlines in the near future. The former name of this airport was Pochentong International Airport. The Government of Cambodia signed a concession agreement with a French-Malaysian joint company (SCA) to operate this airport for 20 years. In return, the company would improve the airport's infrastructure which includes new terminal and cargo terminal, new runways and installation of ILS (Cat 3 Instrument Landing System). This modern looking terminal cost around $20 million and features 5 aero-bridges, 1000 parking lots and VIP and CIP facilities. Daily Queen is the first international franchise to set up in Cambodia while Starbucks made its first appearance in this country at the new terminal. After arrival, I explored the airport for a short while since I had 6 hours to kill. Initially my plan was to just hang around, check out the facilities before making my way to the Premium Plaza lounge to rest. Good thing I didn't make online reservation because the lounge is located at the air side and I wasn't able to do check in early. I had to wait for 4 hours before I could do so. Taxi drivers were waiting outside the airport. I tested Uber, but nothing appeared on my application. From arrival hall to departure hall, the only way to get there is by walking outside of the terminal. I would like to try on one of these the next time I am here! Just a security guard standing outside, he randomly checks passengers for their itinerary. Looks quite new. Free Wifi is available but only at certain parts of the terminal. For 2 hours, I spent my time over here clearing my work. You can purchase your tickets here for last minute travel, located at the far end of the terminal. I had to settle for one of the cafes that accept credit cards. This Pizza is supposed to the cafe's speciality but it was disappointing. After enjoying my meal, it was time to check in. Got my boarding pass and I am the 5th passenger to do so. The staff's English was limited but he checked in for me swiftly and I got my boarding pass not long after. 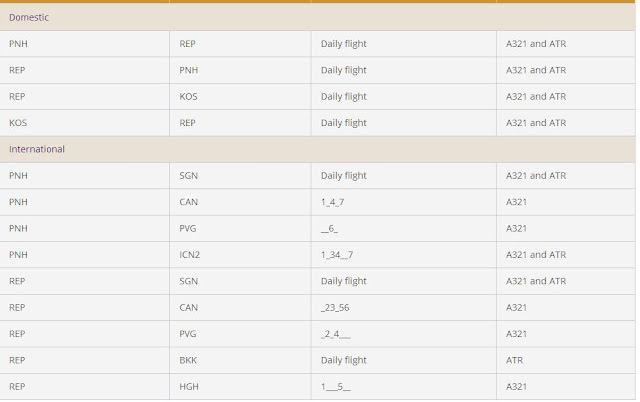 The departure board, not as many flights over here compared to Ho Chi Minh City. I was lucky that there was not queue at the immigration counter. I got my passport stamped and I had to go through security check. After that I was at the air side and all these took less than 10 minutes. We have to walk through this Duty Free shop to get to our gates. Good way to attracting passengers to purchase something before the flight. Once that was cleared, I check out the air side. There are some more shops at one part. As the airport is not big, to get from one end to the other didn't take long. There are a few cafes located at the air side, so if you have time, you could come and enjoy a cup of coffee before boarding your aircraft. This side of the terminal looks better, more spacious. The lounges are located at the floor above. Plaza Premium Lounge - U.S $39 for 2 hours. I decided to skip it since I had less than 1 and a half hours to go before my flight. Once the departure time was near, I made my way to the departure gate. Gate 20 and 21 are located on the first floor, this means one thing, our aircraft was parked at a remote parking lot. This was where my gate was. Later on it turned out to be full as 2 flights were departing around the same time. During my wait, I saw my aircraft coming in and it was about 40 minutes before schedule departure time. It means a short rest of the aircraft after completing its domestic flight. Boarding was called 17 minutes before the schedule departure time. We boarded onto the bus but was made to wait for a good 10 minutes because some passengers decide to take their own sweet time. Once the last passenger was on board we were on our way. I could see some passengers giving him an annoying look. 2nd time flying on the ATR-72-500 series, 6th time overall for the ATR-72. The other 4 times I flew on was the -600 series. Once on board, I took as many photos as I could before setting down. The seat was quite worn out but comfortable for the short leg. Legroom space was tight and the cabin was filled up quickly. However, one (fill in the blank) behind me cannot mind his own business, and told me to stop taking photos. To avoid getting into trouble thanks to this (fill in the blank), I took a few more window shot photos and that's it. Fortunately taking cabin photos was not a problem at all, I took them during boarding and disembarking. Checking the instructions on the safety card (during the flight), I saw a note stating that photos and filming are prohibited unless permission was given and also the cabin crew making the 'welcome' announcement also emphasis on this point. Hopefully this policy will change in the near future. The ceiling is low so tall passengers have to mind their heads. This is my seat, unfortunately sitting in front of the (fill in the blank) passenger. 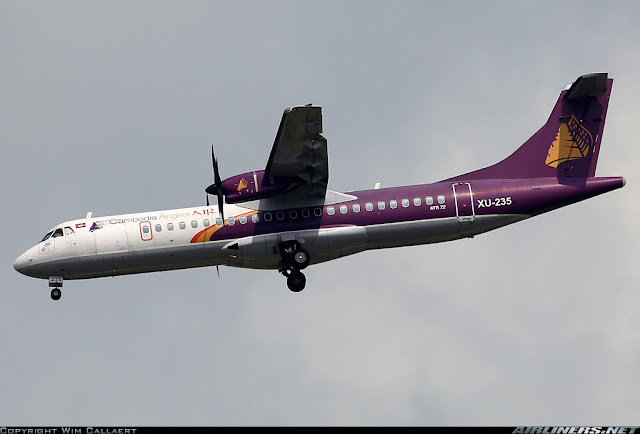 For the ATR-72, the 72 passengers are taken care by 2 crew. For my flight, we had the male attendant in front and the female attendant taking care of the rear. Alighting and Disembarking are always done from the rear of the aircraft. Legroom space, bearable for this short flight. Any longer than 2 hours, I won't be on this aircraft. Boarded the aircraft and settled down with all the passengers on board. The cabin crew welcome us on board, they were busy but at least were friendly towards us. I took a photos of the cabin and the crew were ok about it. Important announcements were made and soon we were on our way to the active runway. The usual procedure for ATR-72 or other turboprop aircraft is because this kind of small aircraft do not have APU (A power system that powers electricity to the aircraft when the engines are off). Once the airport vehicles are cleared away from the aircraft, one of the engines will be started. Once stablised, power connecting the APU vehicle to the aircraft would be disconnected and the aircraft soon would pushed back (for our case) and the during the push back, the 2nd engine can be started up. Take off was powerful and smooth. 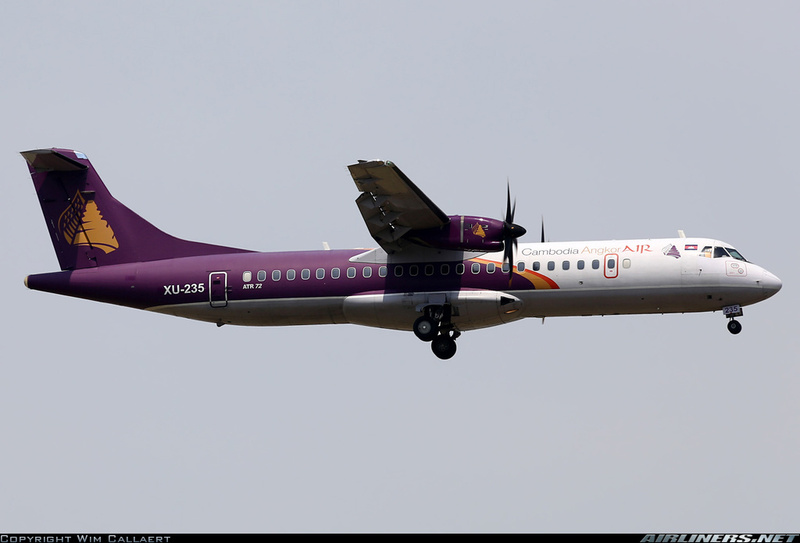 To be honest I felt a bit nervous about flying the ATR or any other turboprop aircraft because they tend to toss around easily especially in windy conditions. Fortunately for this flight, it was very smooth, no turbulence at all from the start to the end. Even though the weather in Ho Chi Minh city looked bad, we landed smoothly. In-flight service was limited since it was a quick 40 minutes hop. At least a bottle of water was provided for each passenger and for the crew it was an easy job for them. Once on the ground, they thanked us for flying with them and wished us a good stay in Ho Chi Minh City. Good set of crew I must say! For them they would prepared the cabin for the return flight to Phnom Penh. Remember the rules especially the Pokemon Go players. No take off photos/video, thanks to someone. A few passengers in front were happily snapping, why didn't that (fill in the blank) say anything about it? Cruising for turboprop aircraft is done at a lower flight level than jet planes. Thanks for the ride, XU-235! Spotted VN-A866 taxiing in front of us! I flew on this aircraft recently, you can check out the trip report over here. The bus ride took around 5 minutes and we were dropped off at the arrival hall for international flights. Apart from the incident, it was a good experience with this airline. Airfare is quite expensive considering this is a turboprop operated flight and a short flight, thanks to the lack of competition. I am glad to finally tick this off my list, perhaps in the near future I would fly the airline's A321 from Siam Reap to Ho Chi Minh City. The reason why I didn't do that is because of the pricey airfare from Singapore to Siam Reap. Things are improving at Cambodia so if you decide on which airline to fly there or the domestic flights, you can be rest assured that the safety record of this airline is fine especially the airline is taken good care by Vietnam Airlines which I have a good amount of experience with. 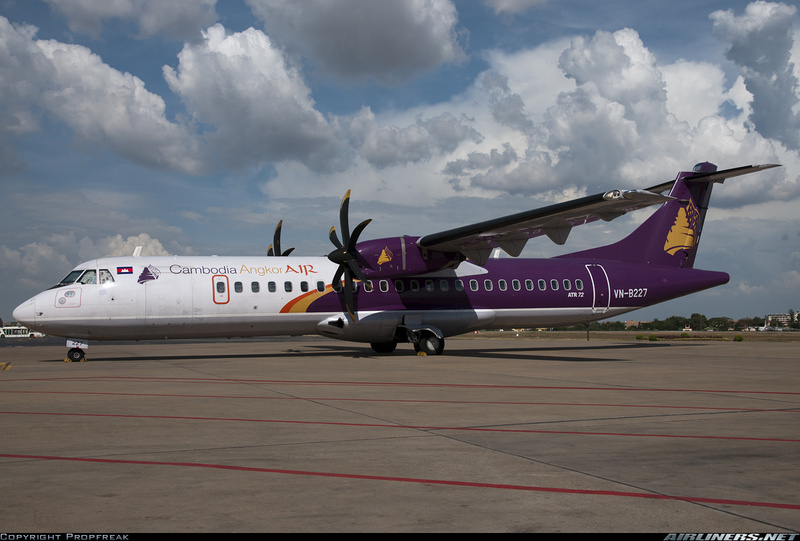 This airline is the biggest Cambodia airline and according to the locals, its the preferred airline over the other 2 companies. Currently, it has no plans for further expansion as the airport infrastructure of the major airports in Cambodia are limited.